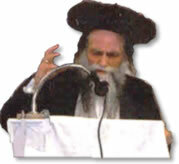 Representatives of Neturei Karta travel the United States delivering speeches to a variety of groups and organizations. Select from the list below to read information about their activities and copies of speeches. List is displayed in Event Date Order. To change sorting, click the Column Title.